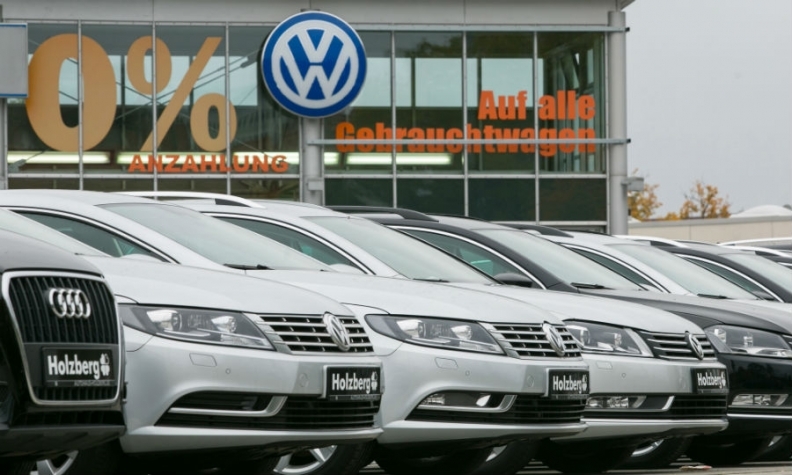 FRANKFURT -- Volkswagen Group sales were flat last month as growth at Audi and Skoda failed to offset a decline in deliveries at the scandal-hit VW brand. Global sales at the 12-brand group were 853,300 in April, the same level as the year before, VW Group said in a statement on Friday. VW brand's global deliveries slipped by 3.9 percent while Audi and Skoda showed strong gains. Audi's global sales increased 7.5 percent and Skoda's volume grew by 5.6 percent. Porsche sales were up 0.4 percent and Seat's volume rose slightly at 0.1 percent. Through April, the group's deliveries increased by 0.6 percent to 3.36 million. VW brand's global deliveries slipped to 476,700 in April following declines in its key markets including Europe and China, the brand said in a separate statement. Sales fell by 2 percent in China, VW's biggest single market, and by nearly 1 percent in Europe, its No. 2 market, including a 2.4 percent drop in Germany. Deliveries fell by 24 percent in Brazil, 9.7 percent in the U.S. and 3.4 percent in Russia. The VW brand has been hardest hit among group brands following the automaker's disclose that it manipulated engine management software to fool emissions tests in 11 million vehicles sold worldwide. The brand's reputation suffered a hit in the U.S. where the cheating was uncovered. The marque's four-month global sales dropped by 2 percent to 1.94 million. A new version of the Tiguan SUV is currently being successfully introduced in Europe and VW expects "positive momentum from this product for the rest of the year," Juergen Stackmann, head of sales at the marque, said in the statement.